The Chairperson explained that the Committee had tried to get Home Affairs to come and brief Members on the naturalisation of the Guptas. However, the briefing today would not be possible as the day before he had received a note from the Director-General stating that the Department would be briefing the NCOP Select Committee at 9h30 on the Refugees Amendment Bill. The Director-General would also accompany the Minister of Home Affairs who would be attending the NCOP meeting on the Home Affairs budget at 15h00. He had tried to make an arrangement that the DG come to this meeting and brief the Committee on the matter of naturalisation. It was not clear to him if the DG would come or whether he would stick to what he had said in the letter that he would not be available. Members were not happy that the Home Affairs could not brief the Committee. They pointed out that the right person to brief the Committee was the former Minister of Home Affairs along with his Deputy Minister. All Members agreed that they should be summoned. The State Information Technology Agency (SITA) briefed the Committee on progress made since the September 2016 briefing on the network problems experienced by Home Affairs. Interventions had been put in place to address the service delivery challenges. Those interventions included the performance of SITA network services to Home Affairs, a feasibility study on the use of satellite technology and investigation of alternative ways to support the network requirements of the Department of Home Affairs (DHA). SITA provided details on the VSAT feasibility report. VSAT challenges included implementation testing that yielded negative results (the network response remained slow); the performance requirements for the DHA Modernising Programme were not met; and limited user capacity which would impede service delivery at front line offices. The observation was that the VSAT solution provided challenges due to its high latency. On the way forward, SITA and DHA had taken viable steps to source a network service provider; SITA had appointed a new maintenance contract for all its data and switching centres; and SITA was migrating the eHome Affairs system to be hosted entirely at SITA. SITA noted interventions underway to secure a network service provider and the service level agreement (SLA) metrics. SITA had provided DHA with a proposal for single network service provider on 7 May 2017. The proposal was accepted and the proposal would be operational on 1 September 2017. In terms of SLA metrics, SITA was researching 3G and 4G technologies to provide back up for Home Affairs offices. Penalties would also be imposed according to the contract. Members asked if DHA was pleased with the new proposal submitted by SITA. The Committee was surprised that the DHA Deputy Director General replied that he was prepared to give SITA another chance to deliver rather than apply for exemption from SITA services. The Chairperson proposed that there should be a meeting in September to see if the proposed approach was working. If it were his decision, he would have have opted not to stay with SITA, which itself had admitted it was without capacity, without the latest technology and without people with the needed skills. The DHA Deputy Director General then clarified the events that led to the closure of the Mbombela Home Affairs office on Friday 26 May, only to reopen on Tuesday 30 May. Office. The DHA had prepared a report where it explained what had transpired leading to the closure of the office in Mbombela. In October 2016, the DHA was served with a summons by a Cameroonian national who argued that when he was arrested by immigration officials he was verbally assaulted by officials in front of his students in Mpumalanga. He sued the DHA for defamation of character. The matter was handled through the Office of the State Attorney in Pretoria because in Mpumalanga, The Department was defending the matter and won the case but it was not aware that this person had lodged a second case. DHA was of the view that it had dealt with the matter. They were unrepresented at the second case and the person obtained a default judgement of R150 000 against DHA. Whilst the matter was still being attended to, the DHA was advised that the Mbombela office equipment had been attached. DHA engaged the sheriff and the plaintiff to return the goods to the DHA office. Subsequent to DHA intervention, the goods had been returned and the office was operational. An application to rescind the court order was instituted. Members stated that this was a case of gross negligence and incompetence. They asked how DHA failed to file an intention to defend the second case; how long services were affected by the attachment; whether the original incident was investigated; who was the official who assaulted the foreigner; who was responsible for the matter; what action was taken by the Executive Authority; does DHA have a legal team; what has been done to address this; and what action was taken against the person who caused this. On the DHA employees’ protest, the Chairperson noted that the Department was entering into an agreement with all parties and things were in progress. The Chairperson noted there was a matter that was in a public domain, that is, the naturalisation of Guptas which had been raised in the previous meeting. He had tried to get the Department of Home Affairs (DHA) to come and brief Members on it. There was also the matter of the temporary closing of the Home Affairs office in Nelspruit and the Committee had requested DHA to conduct an investigation on the reasons for the closure. There was also to be a report on a looming strike of trade unions in connection with DHA employees having to work on weekends. There was to be a briefing on those matters. However, the day before, he got a note that stated DHA would be briefing the NCOP at 9h30 on the Refugees Amendment Bill and the Border Management Authority Act. The Minister of Home Affairs would be attending the NCOP meeting on budget vote. He tried to make an arrangement that the DG could come in the meeting and brief the Committee on that particular matter of naturalisation. It was not clear that the DR would come or whether he would stick with what he said in a letter that he would not be available. Apart from that, SITA would be briefing the Committee on its progress report on the Home Affairs network challenges. Mr M Hoosen (DA) said that he had written a letter to the Chairperson requesting that the former Minister of Home Affairs should come and explain the saga around the naturalisation of the Guptas. That decision was made by the former Minister and his officials could not be sent to respond on his behalf. He also learnt through the newspapers that you acknowledged the receipt of my letter but that you would not allow it to be tabled. He made a request that the letter be tabled so that Members could deliberate on it. Ms O Hlophe (EFF) asked how the Chairperson could say that he was struggling to get the DG to attend, when members received emails and an sms advising them to come early as the DG would be present. Members came early to find that the DG would not be present. However, even if the DG were present, he was not in a position to brief the Committee on this matter. The right person to do this was the former Minister. She asked the Chairperson why he said in the media that he was not going to allow the request from the DA to proceed. As members, they had a right to write to the Chairperson and submit a request for a matter to be taken into consideration. Mr M Kekana (ANC) remarked that all members should guard against compromising integrity. They should be mindful that they were representing people at large. That was the main reason the Minister and the DG should be there and explain the matter in question. The former Minister and the DG should be summoned to come and account to Parliament. Ms D Raphuti (ANC) commented that she could not understand why Members were not focussing on the agenda. She requested Member to focus because time was precious. There are Members who talk too much and therefore their time for talking should be limited. Ms N Dambuza (ANC) noted that the Guptas was an additional item on agenda. That was why Members received several smses and emails stating that Members could come early as the DG, who is supposed to be here, would leave early to attend another meeting. Even though it was an additional item, it could not be argued that naturalisation was not on the agenda. The issue should be discussed. She received a letter that contained the word “confidential” on it and such letter could not have been distributed to the media as it was meant for Members’ eyes only. The issue of naturalisation could not be taken lightly. It required enough time and the former Minister’s presence. It should therefore be postponed to be dealt with in the next meeting. The Committee could not run away from it as it was in the public domain. Dr C Mulder (FF+) remarked that the time was not of the essence. Parliament should always allocate enough time on any matter to be discussed robustly. Members had received emails and smses as a matter of administrative process advising them that the Minister and the DG would come and account. What happened? Is the DG, at least, going to come? He asked why the Chairperson made a statement in the media that he was not going to call the former Minister of Home Affairs to appear before the Committee as per the DA request. It was very important for Members to hear from the former Minister so the Committee could do its work. Mr D Gumede (ANC) expressed the view that this matter should be addressed as soon as possible. To address the matter, the Committee should get accurate and up-to-date information as soon as possible. Information could be solicited from the former Minister, the incumbent Deputy Minister and the DG. In their absence, there was nothing the Committee could do. He accordingly proposed that the matter should be postponed. The matter had developed into public interest because of people involved in the matter. Mr A Figlan (DA) remarked that the proposal made in the DA’s letter was clear. It made it clear that Members should speak to the former minister about the matter at hand. In dealing with matter, Members should be open, honest and transparent as possible. 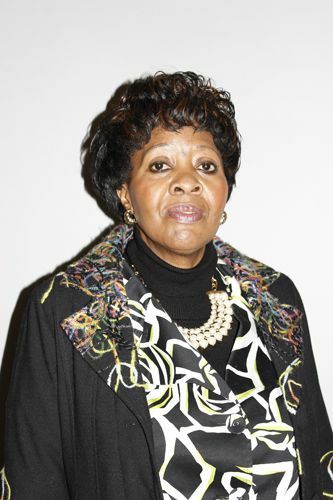 Ms S Nkomo (IFP) said that due to the importance and urgency of the matter at hand, it should be dealt with urgently. She agreed with Mr Gumede’s proposal. Time was not issue. The matters at hand could be discussed anytime, be it during the day or the night. Rev K Meshoe (ACDP) asked if the DG had affirmed that he would be briefing the Committee and, if yes, whether he had expressed reasons why he finally decided not to come. The matter had attracted public interest and the public needed to know what was going on. This could only happen if and when the DG accounted to Parliament, as it appeared on item three of the agenda. 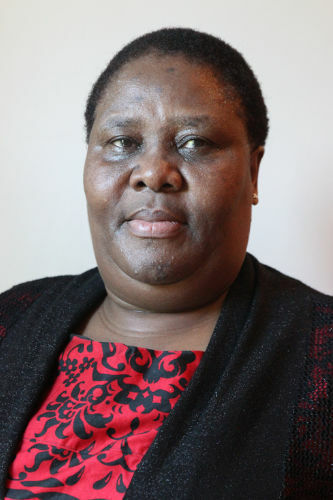 The Chairperson responded that he had indicated that the Committee had a meeting previously in which the question of naturalisation was raised by Ms Hlophe in passing. After a discussion, Members agreed that the matter was in public domain and that the DG should be invited to brief the Committee. Due to the importance of such brief, the matter was added on the agenda of the day. Because the DG had a meeting with the NCOP, they agreed that he would brief the Committee for 20 minutes prior to attending the NCOP meeting. That was a reason why Members received an email and SMS to ensure that Members attended on time. The day before meeting, around 16h00, he received a communication from the DG that the DG would have to meeting with the NCOP that would take place in the morning and afternoon and that he would not be able to brief the Committee on naturalisation issue. He said that the DG would be invited to brief the Committee. Meanwhile, the officials from DHA could brief the Committee on matter. It should be noted that the Chairperson would communicate to DHA that the Committee needed the Minister and the DG. The question of invitation was not open to debate. They would be invited and not summoned. In principle, the Committee did not summon officials as its mandate was limited to conducting an oversight. If it was a matter that needed an inquiry, there was a process that the Committee should follow. He disagreed with the DA’s letter that asked the Chairperson to summon the incumbent Minister of Finance. In order to summon him, the Members should be convened to discuss the issue of summoning and thus take a decision of inviting the Minister of Finance to assist the Committee to resolve the dispute. Engagement with DHA was about getting hard facts that would allow Members to resolve the matter. Referring to the DA’s letter, the Chairperson noted that the he had looked at the letter. He had the prerogative power to take a decision. Writing a letter did not mean that he would follow instructions suggested in it. It could not be interpreted that a Member could tell the Chairperson what to do through a letter and it was done. The Chairperson ought to apply his mind; he could not follow instructions blindly. He applied his mind, after having a discussion with the Committee Secretary. As the DG had not come, the items on agenda should be reorganised. Mr Hoosen remarked that the issue of naturalisation, coupled with the letter from the DA, could not be reduced to a 10 minute discussion. This could not work. Enough time should be allocated to discuss the matter. Enough time should be allocated to engage with the Minister, Deputy Minister and DG. He was disappointed that the Chairperson took a decision on the letter with the Secretary and decided otherwise. He expressed his view that since no Members were against the proposal made in the letter, such proposal should be noted as a decision of the Committee. In other words, the letter was endorsed by Members. The Chairperson responded that it was not right for Mr Hoosen to misrepresent him. A Member could not tell the Chairperson what to do. He could agree or disagree with a letter. There were people who were talking about emails that were sent to the officials. How could the Chairperson know that these letters were authentic? No one knew this. Hard facts were needed. To get this information, the Minister had to be invited. Ms Hlophe indicated that it was in the previous meeting when the matter of naturalisation was raised but the DG refused to speak on it. The DG said that the former Minister was going to issue a press statement. She insisted that the DG should speak about the matter because Parliament could not be informed through the media. Despite being informed through correspondence that the DG would be present, he was surprisingly not there to address the Committee. The Committee should therefore be clear on what it needed. There was nothing stopping the DG briefing the Committee because he was in Parliament today. He could walk in any time and brief the Committee. She did not see any crisis because the DG, once he was done with the NCOP, could come and address the Committee. Ms N Mnisi (ANC) proposed that the matter should be postponed for two reasons: the Committee did not have enough information at its disposal and no accounting officer was present. She proposed that Members should move forward with the next item on the agenda. All Members were on the same page that the former Minister and the DG should be summoned. Mr Kekana remarked that he had a letter with him instructing the Committee to investigate the matter thoroughly. For that reason, the matter was no longer a parliamentary matter but a public matter. The Chairperson should summon the former Minister, the Deputy Minister and DG. However, the DG, who is supposed to brief the Committee, should be summoned to do so at 12 o clock. The Chairperson responded that summoning was the biggest problem. The DG was scheduled to attend two meeting: one at 9h30 and another at 15h00. At 15h00, the DG, together with the Minister, would be attending the budget vote. The agenda should therefore be re-arranged. Ms Raphuti seconded re-arrangement of the agenda items. The Committee had planned its agenda. Naturalisation was an additional item. The Committee should start by listening to SITA, followed by the DDG. Ms Dambuza remarked that Members could not engage with the question of naturalisation without accurate and up-to-date information. She reiterated that the issue of no time could not be raised in Parliament. The matter should be prioritised for discussion once members had received information from DHA and could base their questions on the information at their disposal to seek clarity or to engage with DHA. Mr Gumede said that he agreed with these suggestions. The matter was urgent, important and of public interest. A prerequisite was the provision of information to Members. Importantly, enough time was needed to discuss the matter. What was problematic was that the matter was in the public domain and was based on non-factual information. This made it important for the Committee to engage on the matter for clarity. The Chairperson said the mere fact that the matter was raised in the previous meeting and that the matter was in the public domain indicated that the matter was urgent and important. The DG should be organised to come and address the Committee. All Members were on the same page that the Committee should receive enough information to be able to discuss the matter. He agreed with Ms Raphuti, saying SITA would brief the Committee first, followed by the DDG briefing on the Mbombela and finally the Committee would discuss how to proceed with the question of the naturalisation briefing. Referring to SITA’s performance, the Chairperson noted that the Committee had a meeting in September last year in which SITA promised that they would make things move. Last week, the Chairperson received the presentation which lacked substance as it did not address the Committee’s concerns. Accordingly, he asked SITA to submit a presentation that spoke to its concerns. He felt that the previous presentation was just noise without substance. The question to be addressed was whether DHA should opt out of SITA. Opting out should be consistent with certain protocols. The decision of the Committee would be informed by SITA’s progress or regress in delivering services to DHA. Ms Nokuzula Ehrens, SITA board member, introduced the SITA team and said that Dr Setumo Mohapi, SITA Chief Executive Officer, would take the Committee through presentation. Both Ms Ehrens and Dr Mohapi were new on the board. Dr Setumo Mohapi took the Committee through presentation, focussing on the VSAT feasibility study with Sentech, the Network Operating Centre (NOC), the way forward, network service provider for DHA and SLA metrics. He noted that subsequent to the September 2016 briefing, interventions were put in place to address the service delivery challenges. Those interventions included performance of SITA network services to DHA and a feasibility study on the use of satellite technology and an investigation of alternative ways to support DHA network requirements. Dr Mohapi, providing the VSAT feasibility report, noted that 16 DHA sites and four other government departments were identified; VSAT installations for identified sites was completed by 22 December 2016; and a testing was conducted at Randburg and Mamelodi. VSAT challenges included implementation testing that yielded negative results (the network response remained slow); the performance requirement for DHA Modernising Programme was not met; and limited user capacity which would impede service delivery at front line offices. The observation was that the VSAT solution provided challenges due to its high latency. Dr Mohapi spoke about the way forward. 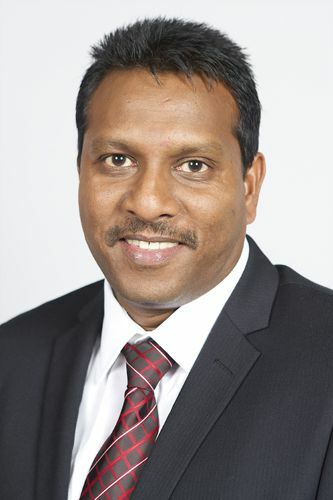 He said that SITA and DHA had taken viable steps to source the network service provider; SITA had appointed a new maintenance contract for all its data and switching centres; SITA was working on alternative technologies such as 3G/4G to provide low latency connectivity; and SITA was migrating the eHome Affairs system to be hosted entirely at SITA. Dr Mohapi noted the Network Operating Centre (NOC) Executive view holds that SITA had created a system view for the department to be proactively notified of problems on the DHA network. It provided a geographical overview of DHA sites that were down in terms of two processes, namely, the calling lagging process and escalation process. Finally, Dr Mohapi noted interventions underway to secure a network service provider and SLA metrics. SITA had provided DHA with a proposal for single network service provider on 7 May 2017. The proposal was accepted and the proposal would be operational on 1 September 2017. In terms of SLA Metrics, SITA was, among other things, researching 3G and 4G technologies to provide back up for Home Affairs offices. Penalties would also be imposed according to the contract. Mr Mnisi asked if DHA was pleased with the new proposal submitted to it by SITA. Mr Hoosen asked if since SITA had implemented measures to close gaps, what progress did it make in the offices that had experienced network downtime. He saw in the proposal that one single network would be secured. Government departments were obliged to work with SITA. If SITA had a single network service, how could it guarantee the protection of information? Is it not going to be accessed by a third party? Ms Kenye asked a question on the first quarter of 2015/16 targets. There was draw back on monitoring and this brought into question whether SITA had the capacity to monitor its work and whether SITA had the capacity to deal with risks and challenges in delivering an effective network. Ms Hlophe remarked that the network challenges had been frustrating DHA performance. In 2016, Members were promised that the network would be addressed. When the DG had talked about his frustration with the SITA network, the Committee had intervened because the poor network at DHA was affecting the public at large. In order to address this, she could see that SITA noted that it had failed and that it was introducing a single network. She asked what was going to happen. Was SITA’s proposal helping the situation? In her view, the presentation did not give a clear picture on the way forward. The Committee had been forced to wait for six months without knowing what going on with SITA. This conduct was unacceptable. Ms Raphuti welcomed the progress report on what going to happen between SITA and DHA. Ms Nkomo, referring to the VSAT feasibility report, noted that the main problem SITA was facing was setting benchmarks. Benchmarking was an issue not faced only by South Africa, but also by the continent and by the world. The way forward should be clear. However, the presentation was good and straight. However, it was difficult to get information on the challenges. SITA should provide a detailed report on the challenges to the Committee. Mr Gumede felt that the continuation of non-performance was problematic and unacceptable. The monopolistic nature of SITA was a problem. DHA should look for another network service provider. It should be noted that people did not have money for taxi to go to Home Affairs to spend a day there and return home without service because the system was down. This was not right. This problem of monopolising the network should end because improvement was urgently needed. The absence of SITA improvement in delivering an effective network was a problem. Members knew that other big institutions such as the banks or SARS did not have a problem with network because their service providers were not failing them. Mr Figlan, referring to the VSAT challenges, asked if SITA knew that DHA was a security department. DHA information needed to be secured at all cost. In addition, people across the country were complaining about DHA services. The network challenge could not be tolerated any longer. Ms Hlophe asked why DHA was not considering working with the same agency used by SARS. The Chairperson raised concern that SITA did not perform as required by DHA. The poor network impeded DHA service delivery. Looking at outsourcing the network service provider and the proposal for a single service provider, could SITA assure them that by September, the new network service would be launched? Ms Raphuti asked DHA officials to remind them how many DHA offices and mobile offices there were. The figure would illustrate whether SITA had the capacity to deliver or not. Ms Kenye noted that there was problem with tendering. The Chairperson said that he was afraid that SITA might not have a new service provider that could provide a new network service. Mr Thulani Mavuso, DDG: Institutional Planning and Support, responded that there were 411 offices in different size and some were mobiles. On the question of network, DHA and SITA were working closely to develop a more effective and efficient network. The problem of having the system down could not be blamed on SITA as sometimes the problem could lie with Telkom or Vodacom. Dr Mohapi responded that SITA had fixed certain lines and it had recorded some improvements. In spite of that, SITA has no capacity to deliver the comfort needed because of various challenges. Challenges included problem related to management capability. The main issue was not network service provision. The biggest problem was the technical and technological competence to provide an up-to-date service. Ms Ehrens described the problem of SITA by stating that when people were bad and were not replaced by good people, the same result would always be achieved. Most of SITA employees did not have the required technological skills to meet the current demand. The SITA Board was working tirelessly to bring in a new skilled workforce. This would take time as a plug could not just be pulled. In her view, the major challenge was to dismiss some employees and replace them with new technologically skilled people. The Chair said that the Committee’s concern was DHA and not SITA. Removing people was the way of avoiding responsibilities of the past. It took nine months – and not six months as Hlophe indicated to come and brief the Committee that the main reason SITA could not perform as it promised was due to a human resources problem. What was conspicuous was the lack of capacity to deliver services. It was a shame for DHA that people could not have access to a smart ID because the system was frustrated by an ineffective and unreliable network. Mr Mavuso said that the same concerns of the Chairperson were also raised by DHA in its engagement with SITA. However, SITA came with a new proposal and DHA felt that it should give SITA another chance and see whether the proposal would work out. If it did not work, DHA would request to be exempted from the SITA network. Mr Kenye asked DHA how was it assured that the competence of SITA would improve. To her understanding, how can one employ someone who has shown incompetence? DHA was a security cluster that needed a person who can deliver. Mr Hoosen commented that DHA acknowledged that there was progress on the side of SITA. However, such progress was yet to be noticed by the public. It was for the public to state whether the system was working or not. Members too knew how often DHA offices go offline. SITA had been given enough time to fix the problem. Whilst the problem was yet to be fixed, DHA was appealing to Members to allow SITA a second chance. This significantly differed from the previous language used in last year’s meeting, when it was clearly stated that the Committee would not tolerate incompetence and the incapacity of SITA. There were many agencies and individuals who were delivering network services to such an extent that mobile phones were fully covered by network. Ms Hlophe remarked that Dr Mohapi had assured Members that SITA would deliver. Now, Members were we being told that they should be patient because the problem could not be resolved in a short time. This was not right. There was a reliable system used by SARS and this system should be used by DHA. Why was DHA not hiring the service provider used by SARS? Last year in the September, Dr Mohapi asked Members to wait, and today he is telling us to wait to sort out SITA leadership and fix its workforce. Members were not here to understand SITA’s challenges, but were here to hear that SITA could deliver an effective network to DHA for benefit of the people. Members would like to hear about immediate solutions for the public to have services. Ms Nkomo reiterated that the major question concerned benchmarking. She said that benchmarking would mitigate these problems. Ms Ehrens noted that technology had progressed so fast and SITA had not changed much to live up to the modern technology. Technology had changed. People should be hired on the basis of current technical and technological skills. This was important because one could not expect the person who was hired in 1980s or 1990s to keep up with modern technological challenges. Back then, people did not use cellphone, laptops, wi-fi and so forth. The Chairperson remarked that Mr Mavuso was happy with giving SITA another opportunity. In doing so, DHA was getting deeper and deeper in trouble and it might not be able to survive. Usually, Parliament was not expecting Mr Mavuso to account for the work done by others, but now he would account for giving Parliament the assurance that SITA could deliver. The Committee had wanted to hear from Mr Mavuso that DHA needed to be exempted from SITA services. Postal Services and Telecommunication could to take over and assume the responsibility to supply network to DHA. Mr Gumede said that he was worried about cybercrime given that there was agency which could supply up-to-date technology services. Why were SITA employees not given training from time to time? The country could be brought down by its enemies through cyber-attacks. Have you thought about those who compete with South Africa? SITA should think about its own competition and capacity in delivering quality technology services. The responsibility was now on the DDG who was saying that DHA and SITA were happily married. The Chairperson proposed that there should be a meeting in September to see if the proposed approach was working. If it were his decision, he would have said that SITA should first sort out itself, rather than staying with SITA, without capacity, without the latest technology and without people with the needed skills. Mr Thulani Mavuso, DHA Deputy Director General: : Institutional Planning and Support, noted that DHA had prepared a report on 5 June 2017 where it clarified what transpired causing the closure of the Home Affairs office in Mbombela. He indicated that on 25 October 2016, DHA was served with a summons by a Cameroonian national who argued that when he was arrested by immigration officials he was verbally assaulted by officials in front of his students in Mpumalanga. He sued DHA for defamation of character. The matter was handled through the office of the State Attorney in Pretoria because in Mpumalanga, there was no such office. The Department communicated with the State Attorney’s Office to deal with the matter. The Department was defending the matter and won the case but it was not aware that this person had lodged a second case. DHA was of the view that it had dealt with the matter. They were unrepresented at the second case and the person obtained a default judgement of R150 000 against DHA. After receiving the summons, DHA instructed the Office of the State Attorney to urgently halt the warrant of execution. DHA also instructed the Office to respond to the summons and to prepare witnesses. On 20 May, the State Attorney responded. Arrangements had to be made for the witnesses to travel. Whilst the matter was still being attended to, the DHA was advised that the Mbombela office equipment had been attached. DHA engaged the sheriff and the plaintiff to return the goods to the DHA office. The sheriff acted in bad faith especially as there were other items that could have been attached. The sheriff claimed a DHA official had said that he should not attach the cars and furniture. The Home Affairs Executive Authority asked the sheriff to provide particulars of that official. The sheriff wrote a letter to the DHA stating that he could not recall the name of that person. The aim of asking for the particulars of that offical was to take disciplinary action. It was agreed that the sheriff would return the DHA equipment and DHA would put money in trust equivalent to the amount claimed. The money would be paid to the plaintiff if DHA lost the case. Subsequent to that intervention, the goods had been returned and the office was operational. Since the matter was struck off the court roll, an application of rescission was instituted. DHA was waiting for the successful rescission of the matter so the court could provide a date for the hearing on the matter. The Chairperson said that, in a nutshell, Mr Mavuso was indicating that there were two issues: There were one case that Mavuso was aware of and another one he was not aware of. Mr Mavuso stated that those two cases were related. However, the Chairperson was correct. He knew of only the one case. The Chairperson said that the problem he had with DHA was that the sheriff could not just come and attach goods. The sheriff would come first and identify goods that should be attached. He would explain why the good should be attached. At a later time, he would come again to attach the goods. When the sheriff came the first time, what was the response of DHA officials? Of course, there was someone who failed in his duties and this should be investigated. There was someone who pointed to the DHA equipment to be attached and said that cars should not be attached so that they could go home and not work. What was important was the specification of the remedial action that would be taken to avoid this happening in the future. Mr Mavuso replied that after the court order, the office manager and provincial manager provided the details to his office and these details were forwarded to the Office of the State Attorney to put in an urgent application for rescinding that court order. There was evidence of correspondence between DHA and the State Attorney until the date of attachment. In fact, DHA did not ignore the court order. DHA was still working closely with the State Attorney to clarify all these processes. The court order put DHA in difficulties when the sheriff showed up at the DHA office with the intention to attach, especially, since DHA was not aware of the court order. The Chairperson said that DHA was stating that it was the State Attorney who let them down. Mr Hoosen commented that the whole thing was a mess. How can DHA fail to file an intention to defend? Can we call this incompetence? What should we call it? Referring to the report, he said that DHA received a notice on 14 October. DHA chose to sit with a summons and there was no intention to send it to the State Attorney to defend. Can long were Home Affairs services affected by the attachment? Can you tell us if the incident that caused this saga was investigated? Who was the official who verbally assaulted the foreigner? Ms Raphuti asked if the attachment was caused by the defamation of character. Can DHA tell Members what really happened? The risk was that people could open a case against DHA on the basis that their character was assaulted. The government would really be in trouble 1000%. She was concerned by the irresponsibility of the officials. This trend of irresponsibility was reflected in the treatment of clients by public servants. Mr Kekana agreed with Ms Raphuti and asked: Who was responsible for the matter? What action was taken by the Executive Authority? Does DHA have a legal team? What has been done to address the issue? Mr Figlan said that the Cameroonian case was not unique. He knew of cases where clients were chased by DHA officials. It seemed as if the state was wasting money on training DHA officials. Mr Hlophe remarked that the defamation depicts a bad picture of DHA. She was of the view that a status report on this related matter was needed, including an investigation of what had originally happened. She had heard from many people who were turned away by officials. This should be a case study to determine the status of DHA officials. What action was taken against the offical who caused this? Ms Nkomo agreed with Ms Hlophe on the report on status of DHA officials. The report would point out a lot of problems with officials. DHA should tell Members what actually happened. When one entered the Home Affairs office, one was greeted by the DHA Code of Conduct, Mission and Vision, which were well written. They gave a good impression that DHA cared about its clients, when it did not. If officials cared, respected and served their clients, a Cameroonian national could not have been assaulted. DHA officials should know that South Africa belongs to all who live in it. The most abused by officials were old people. As a result, old people were afraid to seek services from DHA because of the attitudes meted out to all clients. Mr Gumede remarked that when he read the DHA report he had expected to read that someone was charged with of gross negligence or incompetence. Why was there no consequence when gross negligence was so manifest? It was so damaging that the President might lose election because of the conduct of DHA officials. The main problem lay in the manner in which DHA was managed. The Chairperson stated that lack of disciplining was another problem. What worried the Chairperson more was that when the sheriff came in, officials provided computers for attachment. Mr Mavuso responded that Members should know that the DHA received at minimum 50 cases per week. It had a litigation team that dealt with these cases. Many cases were instituted by opportunists. DHA had cases where a person, who had not yet gained access to South Africa, had hired lawyers to assist him when DHA attempted to return such person. Other people who could file cases against DHA were those who had forged documents. If you look at the Cameroonian case, it was supposed to be an immigration issue which ended up attaching DHA assets. He promised the Committee that he would follow up with who signed the document. More specifically, the matter was not defended. For this reason, It was not clear that whether the plaintiff was assaulted or not. Addressing all these cases was difficult if DHA received more than 50 cases per week. Sometimes, DHA defended cases which cost money, but which were baseless. This is where a person would apply for a document then sues the DHA for not issuing such document. This also attracted filing of cases. Mr Kekana remarked that Mr Mavuso’s response gave him another feeling. He was not expecting Mr Mavuso to use general language when responding to Members’ concerns. If nothing happened, whoever was the DDG of that line of duty should be suspended. All this could have happened because of corruption. Employing relatives or girlfriends was another problem. There was a need for an investigation to unearth what happened. DHA was an important organ of the state and should be respected at all times. Ms Kenye commented that when the plaintiff issued a summons, what did the DHA do? Ms Hlophe remarked that there should be a holistic case study on similar incidents in all offices. The Chairperson stated that the provincial manager should be invited to brief the Committee. Ms Raphuti said that the Committee and the Executive Authority should be firm towards officials and should not tolerate rudeness. Mr Figlan blamed Members in not conducting an immediate oversight whenever they received complaints. He felt that oversight could get to the root of this mess and thus the Committee must develop its own report. The Chairperson agreed. The Committee needed its own report on matter whilst Mr Mavuso should make a follow up with his legal team to finalise the matter. Mr Mavuso also needed to find out whether the alleged treatment of the foreign national was correct or not. There was a need to ensure that officials at work respected and promoted the integrity of DHA. The Chairperson noted that DHA was entering into an agreement with all parties and the matter was in progress. The Chairperson noted that the DG and the Minister were stuck in another meeting. They would be called another day to brief the Committee. Ms Raphuti, Ms Hlophe, Mr Hoosen, and Ms Nkomo agreed. Mr Kekana reiterated that the Minister and the DG should be summoned. The word summoned should be used in the letter and not invitation. Mr Gumede asked if the Committee was deliberating on naturalisation in respect of the DG’s brief or the DA’s letter. The Chairperson responded that the Committee was deliberating on both matters. They were interrelated. Dr Mulder said that the Committee was dealing with two separate issues: The DG to brief the Committee on the naturalisation of the Guptas and emails and state capture report. There were documents that needed follow up about the naturalisation. Ms Nkomo agreed that information was needed and legal advice was needed on how to deal with the matter. Ms Mnisi said that the matter could sufficiently be dealt with if all necessary documents were submitted to the Committee. Ms Raphuti said that authenticity of documents were a prerequisite. How could one know that the emails were authentic? How were these emails accessed? If people had access to someone’s inbox, this could be a problem. The Chairperson noted that the EFF said that it would take the Minister to court on the basis of the leaked emails but DHA could not be taken to account on the basis of those emails. The Parliamentary Legal Advisors would advise the Committee on the right thing to do. Mr Hoosen said that when Members agreed to call the DG to brief the Committee, the Legal Advisors were not involved and likewise, the EFF court action. To bring in the Legal Advisors and the EFF motion was all about delaying the engagement with the Minister and the DG. The Committee had a responsibility to ensure accountability of the Executive. The Chairperson responded that the Committee had the responsibility to conduct oversight and the Chairperson had the responsibility to lead the Committee. A member could not push the Chairperson into a hole with open eyes. The DG would come and speak to the Committee. The Legal Advisors were called to assist the Committee to do its work. Mr Hoosen could not dismiss employees who were employed to assist the Committee to do the right thing. The Parliamentary Legal Advisors stated that the point of departure were that complications came in when one political opposition chose to go to court whereby matter became sub judice. Matters that are before the court are not discussed according to the Parliamentary Rules. Further, it was not clear to the Advisors what the content of the motion of application was. They would be in better position to advise the Committee on what to discuss when they know the content of the EFF motion. The Chairperson thanked the Legal Advisors and stated that the process used to call the Minister and the DG should adhere to Parliamentary Rules. Dr Mulder commented that the Parliamentary Rules could not override the principles of the Constitution. The Chairperson said that documentation (emails) was difficult to get because they were not within the reach of the DHA. However, the Committee would discuss the merit and demerits of all matters raised within the parameters of law.